Wynn Austin Events & Collection in the News! I am so grateful for all of my amazing couples! Five years after starting my business I am still completely humbled by the fact that our clients trust us with one of the biggest days of their lives. I am grateful everyday that I get to do this for a living! 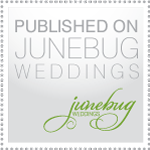 I just wanted to recap on some of the weddings that we had featured in 2013! We couldn’t have done this without our wonderful clients that trust our vision, and of course the amazing team of vendors that we work with! I want to wish you a Happy, Healthy, and Prosperous New Year and we look forward to our 2014 weddings & events! Well, it’s only the beginning of January! But we’ve had 2 features that I just had to share! Our stunning photo shoot that we teamed up with Aileen Event Stylist & Joseph Matthews Photography was featured in Style Me Pretty California! You can click here to go to our Facebook Page to see more pictures from their wedding! Megan & Scott’s wedding reached the UK! SATURDAY, APRIL 24, 2010 AT 12:05 A.M.
You’re getting ready to leave for a friend’s beach wedding when all of a sudden your husband trots out in his best pair of jeans and a T-shirt. You shake your head and say, “No, no, no,” but he’s convinced that a beach wedding is equivalent to a barbecue. The good news is that you have truth, justice and the bridal way on your side. While beach weddings are often more casual affairs, it’s considered poor form to wear jeans — even if they are the expensive kind, says Wynn Austin, owner of Le Chic Wedding Consulting, a San Diego company. Think of it like a restaurant: “No shorts, no jeans, no wedding service,” Austin adds. Of course, that doesn’t mean your husband has to change into his best suit either. In fact, being overdressed at a beach wedding can be just as big a faux pas as being underdressed — not too mention pretty uncomfortable, too. The best bet for men is a light pair of pants, whether they be cotton khakis or linen, and a collared shirt. If you’re unsure how fancy the affair is, your husband can add a blazer. He can take it off if it’s too warm or if it makes him look too stuffy. To avoid the wedding-day fight over your husband’s attire, consider when and where the event is being held, suggests Sharon Cole, a local wedding planner. A wedding at the Paradise Point Resort & Spa will probably demand a nicer set of duds than at something being held right on the beach. Keep in mind, the couple’s wedding website can be helpful in making the right sartorial decisions. If your friends haven’t set one up, it’s perfectly fine to give them a call to find out the dress code, Cole adds. Now when it comes to your ensemble, think sundress, strappy sandals — not flip-flops — and some sort of wrap or sweater because, as everyone in San Diego County knows, it can get chilly at night at the beach — no matter the season.